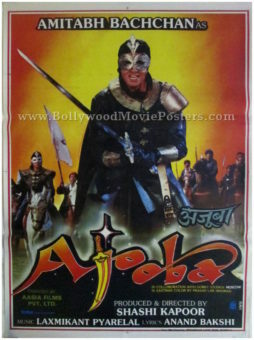 Adult Hindi horror movie poster of the Bollywood horror film Murdaa (2000) for sale. This is an actual surviving adult Hindi horror movie poster of the 2000 B grade horror film Murdaa directed by Kishan Shah that starred Poonam Dasgupta, Raj Premi and Sapna. 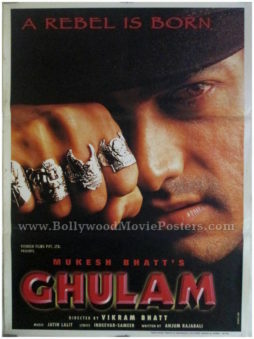 Printed and circulated during the initial release run of the film (somewhere in the year 2000), this adult Hindi horror movie poster was printed for publicity of the film but never ended up being used. The artwork seen in this adult Hindi horror movie poster is typical of B grade and C grade horror film posters. A ghoulish monster is seen hiding behind a cobweb on the top of this adult Hindi horror movie poster. Photographic stills of actresses in skimpy clothes appear in the foreground of this adult Hindi horror movie poster. 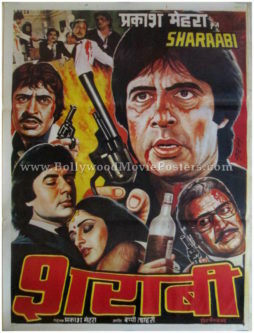 Bollywood horror movie poster of the Hindi horror film Khaufnaak Kafan (1990) for sale. This is an actual surviving Bollywood adults horror movie poster of the 1990 B grade horror film Khaufnaak Kafan directed by Dhirendra Bohra that starred Tina Ghai, Jamuna and Huma Khan. Printed and circulated during the initial release run of the film (somewhere in 1990), this Bollywood adults horror movie poster was printed for publicity of the film but never ended up being used. 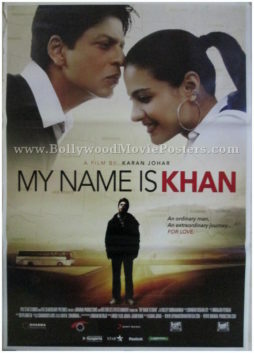 The artwork seen in this Bollywood adults horror movie poster is typical of B grade and C grade horror movies posters. A ghoulish looking half-skeleton half-woman is seen prominently on the top left of this Bollywood adults horror movie poster. A skeleton and snake are seen alongside. 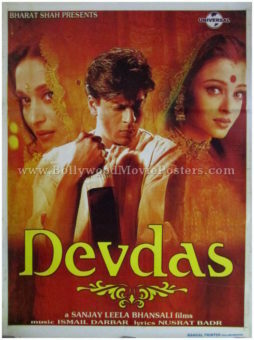 Photographic stills of actresses in skimpy clothes appear in the foreground of this Bollywood adults horror movie poster. Indian horror movie poster of the Hindi horror film Maut Ki Haveli (2001) for sale. This is an actual surviving adult Indian horror movie poster of the 2001 B grade horror film Maut Ki Haveli directed by A. Raja that starred Sohail Khan, Yamani, Kanchan, Deepak Shirke, Anil Nagrath, Junior Jagdeep and Junior Shakti Kapoor. Printed and circulated during the initial release run of the film (somewhere in the 2000s), this adult Indian horror movie poster was printed for publicity of the film but never ended up being used. The artwork seen in this adult Indian horror movie poster is typical of B grade and C grade horror movies posters. A ghoulish monster with vampire teeth is seen prominently on the top left of this adult Indian horror movie poster. A graveyard setting is seen in the background, while photographic stills of actresses in revealing clothes appear in the foreground of this Indian horror movie poster. 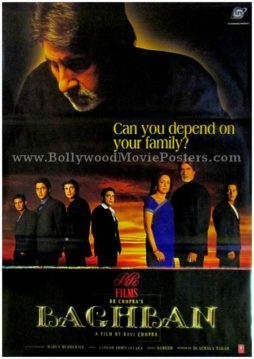 Bollywood horror movie poster of the Hindi horror film Shaitan Khopdi (1999) for sale. This is an actual surviving adult Bollywood horror movie poster of the 1999 B grade horror film Shaitan Khopdi directed by C. Vasan that starred Devraj, K. Kumar and Vinita. 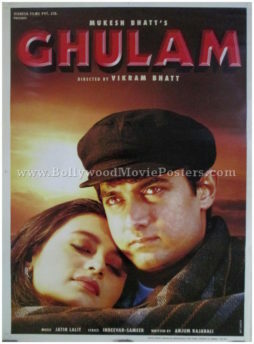 Printed and circulated during the initial release run of the film (somewhere in the late 1990s), this adult Bollywood horror movie poster was printed for publicity of the film but never ended up being used. The artwork seen in this adult Bollywood horror movie poster is typical of B grade and C grade horror movies posters. An evil skull with blood dripping from its teeth is seen prominently in this adult Bollywood horror movie poster. A couple of steamy photographic stills are seen encased inside the eye sockets of the evil skull. The Adult “A” rating is clearly seen in this Bollywood horror movie poster. 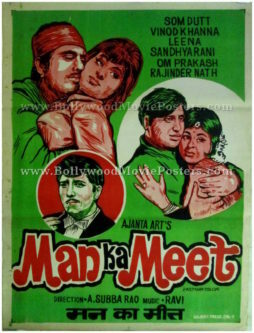 Vintage Indian poster for sale of the Hindi film Man Ka Meet (1969). Featured here is an actual surviving old Indian movie poster for sale of the 1969 Hindi film Man Ka Meet that starred Vinod Khanna, Som Dutt, Leena Chandavarkar, Sandhya Rani, Om Prakash and Rajendra Nath. Printed and circulated during the original first release of the film (somewhere in the late 1960s), this old Indian film poster for sale was originally designed for publicity of the film but never ended up being used. This vintage Indian poster for sale was originally designed in oil on canvas format by a leading art studio in Bombay. The artwork features stunning portraits of the lead actors set against a very simplistic, minimal background. 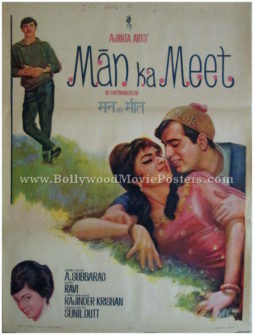 Old Bollywood poster for sale of the Hindi film Man Ka Meet (1969). Featured here is an actual surviving old Bollywood poster for sale of the 1969 Hindi movie Man Ka Meet that starred Vinod Khanna, Som Dutt, Leena Chandavarkar, Sandhya Rani, Om Prakash and Rajendra Nath. 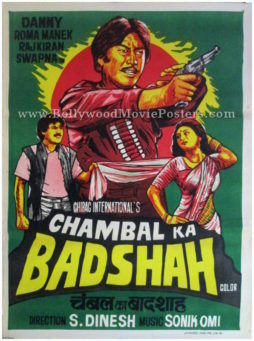 Printed and circulated a few years after the first release of the film (somewhere in the early 1970s), this old Bollywood poster for sale was originally designed for publicity of the film but never ended up being used. This old Bollywood poster was originally designed in oil on canvas format by a small time art studio in Kolkata, giving it a very quirky appearance. 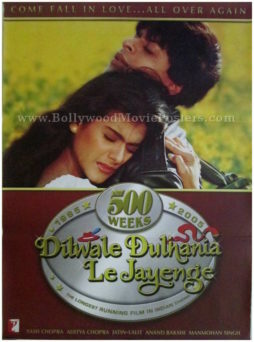 The artwork is typical of old school Bollywood posters of the past. Quirky faces are set in circles against a stunning green background, giving it a very eye catching appearance. 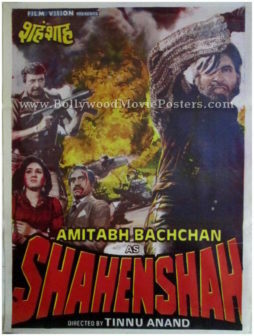 Interesting typography is seen used at the bottom of this old Bollywood poster for sale.